Superior Auto Image is dedicated to keeping your vehicle looking its best and protecting your investment. We have passionate, highly qualified technicians armed with the latest products and technology in the industry, prepared to meet all of your car’s needs. Whether you have a daily-use vehicle, a weekend car, or a show car, we will keep it protected and make it shine with our car paint repair service. We remove scratches from car paint and make your vehicle’s coat look unblemished again. Paint correction is the process of removing imperfections from a vehicle’s paint surface. 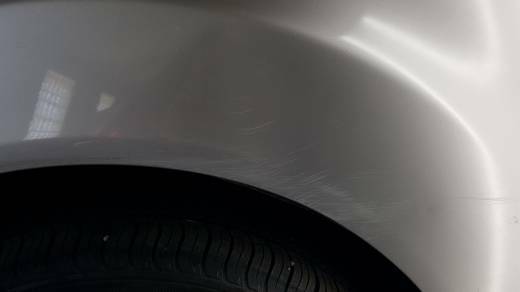 An example of this is vehicle scratch repair, including deep scratch repair. This process involves stages of fine polishing to yield the best quality finish. Any vehicle benefits from this process. New cars, used cars, and classic cars are all subject to defects such as wash marring, swirls, spider webbing, light scratches, and buffer trails. And you’d be surprised at how many new, exotic cars arrive straight from the factory already displaying some of these defects. So, no matter what kind of car you own, our paint correction services will be of tremendous value to you. Our talented experts repair car scratches through a process that permanently removes all defects from the auto paint surface and leaves your car shiny and reflective. If you want your vehicle to stand out from the rest, look no further. Call us at 303‑669‑1139 to set up an appointment. If your vehicle has light dents, we also offer paintless dent repair. 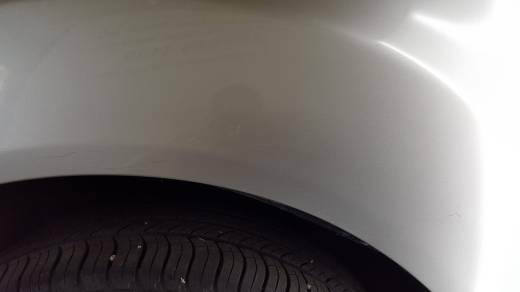 This professional service completely removes the dent without having to tweak your paint job. Removal of overspray; for example, if you had one part of your car painted, but then find that the spray on another part of the car, where it shouldn’t be, we’ll take it off. Removal of hard water from your paint surface. This can be damaging to your car, and these spots may take a lot of work (and special chemicals and equipment) to remove. We have the tools to handle these troublesome spots. Removal of scratches, and generally reworking your paint where it needs some touching up. Why Superior Auto Image Auto Paint Repair? You could get your auto paint repair at just any body shop, where you never know how you car will be handled and how much experience your technicians have. But here at Superior Auto Image, we have only the most talented, qualified, and knowledgeable experts dedicated to doing the absolute best work on your car. Our experts use special equipment and rely on years of training to offer your car the very best service. Your satisfaction is very important to us. We are a locally owned family company, here in Colorado. We are extremely quality-oriented, and we are efficient, boasting a quicker repair time than most body shops. At Superior Auto Image, we offer a professional car paint repair service that will leave your vehicle looking new and shiny. You can expect a high level of workmanship from our practiced, knowledgeable technicians. Set up an appointment with us. Call today at 303‑669‑1139. Schedule Your Car Paint Repair Appointment Today!